The Open Integration Hub consists of different parts, which can be flexibly used and combined. Contains basic functionality such as authorization, validation and routing. Contains functionality for central data storage, the standard data models and storing meta data. 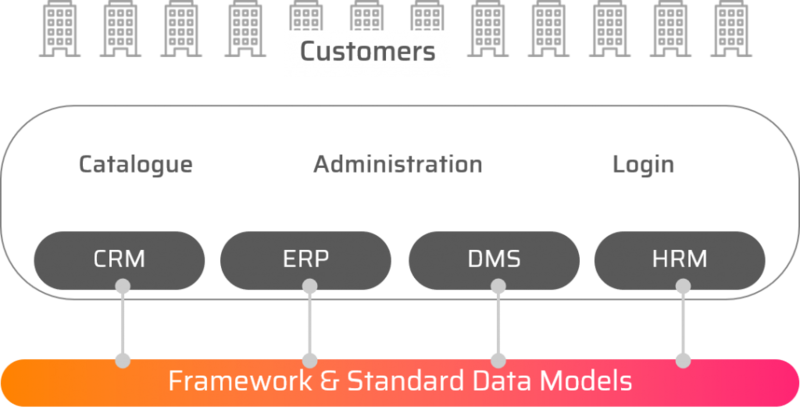 Open standard data models for multiple domains such as products, adresses, documents and more. 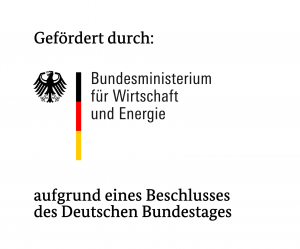 Standardized connection enabling syntactic and semantic transformation of data. All parts of the Open Integration Hub are being used. This brings the highest degree of standardization and automation of data synchronization, but limits the use of custom data fields and components. For greater flexibility and specialization you can use your own data models. This allows for industry specific customization, but makes it necessary to modify existing connectors. 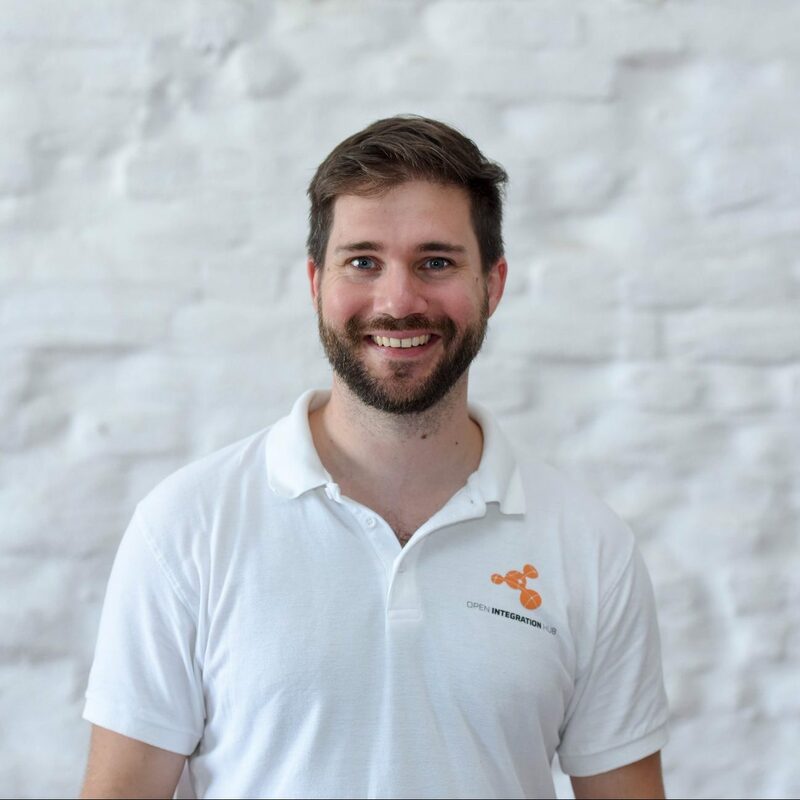 Not making use of standard data models and the Smart Data Framework, gives you the option to create highly individualized integrations. However, data has to be mapped manually and standard connectors cannot be used. 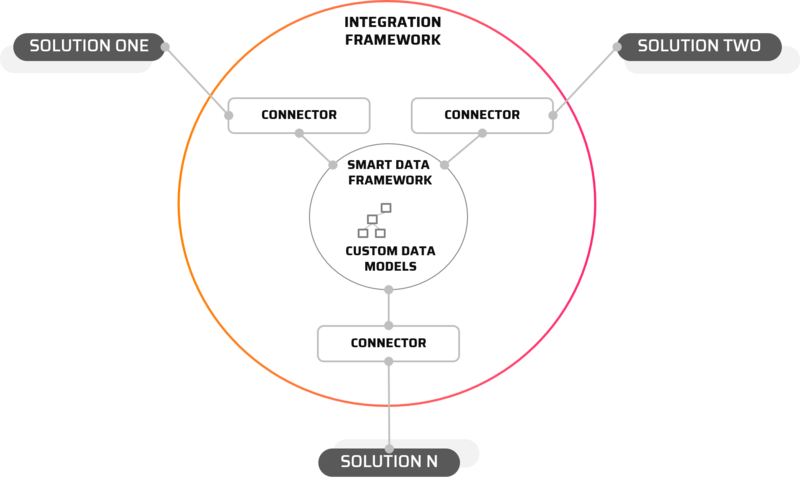 The Open Integration Hub enables the creation of new business models based on integration by enabling a very flexible use of innovate integration technology. Check out these five examples. Software marketplaces offer a qualified portfolio of solutions and help customers to decide, which tools best fit their needs. Additional functionality may include central invoicing, user administration, single sign on or data synchronization between multiple applications. Since those applications are typically standard cloud solutions, data exchange and integration can be standardized and automated as well. Integration platforms make it easy for consultants or IT specialists to integrate solutions by providing a visual tool to design business processes. 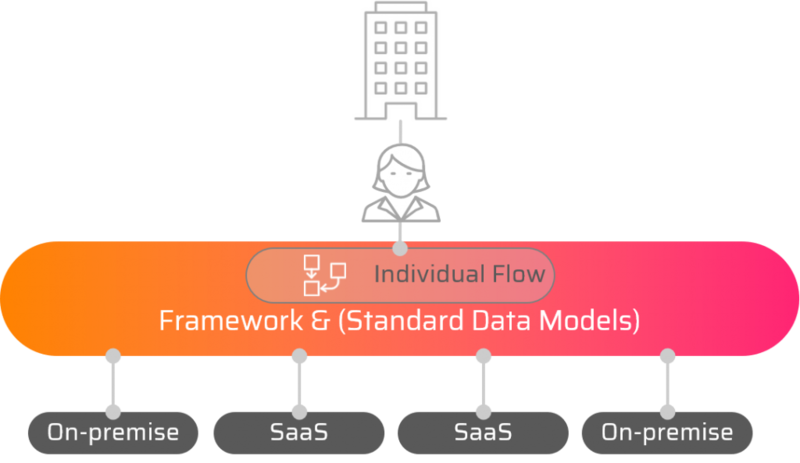 In order to enable the use of custom data models and ensure high flexibility, integration platforms often do not use standard data models or offer it as an optional feature. App Stores within a business solution enable the user to administer all integration from a single interface. Software vendors close functional gaps and become the command center for their customers digital processes. When using the standard data models, every new connector can be used by the customers right away. The Open Integration Hub delivers a partner ecosystem out of the box. Of course it is possible to use your own data model, which will then require customization of the connectors. System integrators and IT departments use the Open Integration in order to connect the internal system landscape and create individual processes. 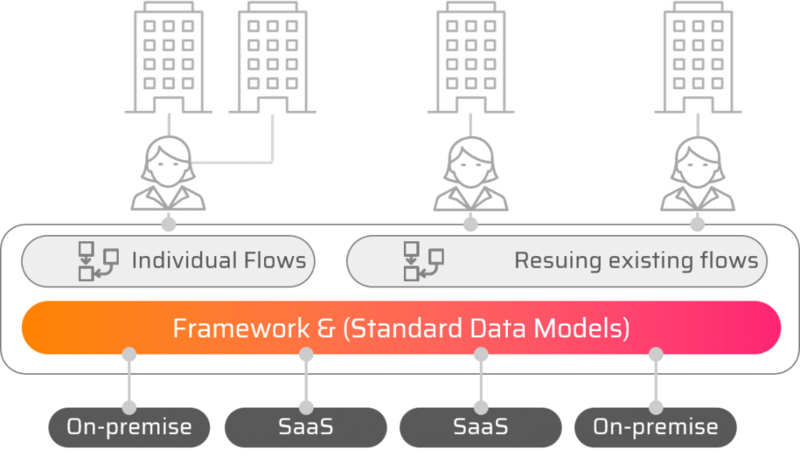 Because custom data models are very common in such a scenario, the Smart Data Framework or existing standard connectors are often not sufficient. 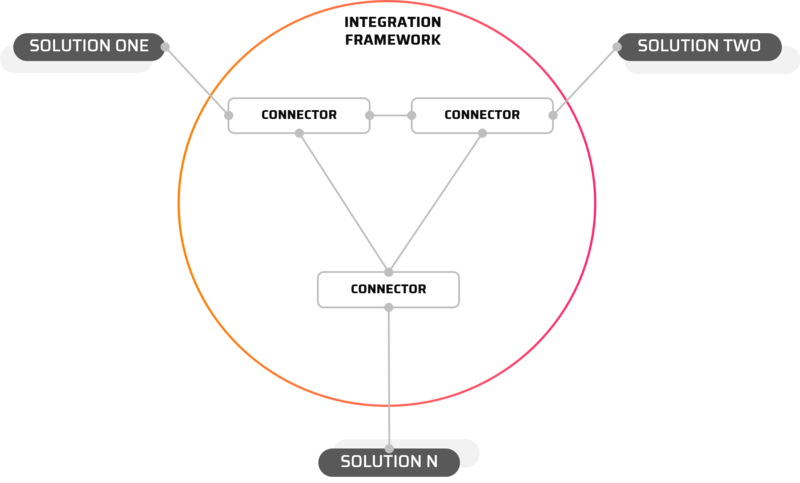 The implemenation is rather done in an individual integration project. The Smart Data Framework contains services that allow for central data storage and synchronization of all data. Platforms can therefore offer one combined view on data from multiple sources. The platform comes with a graphical interface to access the data and offers additional functionality like reporting, analytics or administration of data. Many platforms are built on the framework and use different compositions of the services, according to the particular business model. We are happy to hear your feedback, questions and ideas!